In his illuminating new work, Gary Giddins explores the evolution of film, from the first moving pictures and peepshows to the digital era of DVDs and online video-streaming. New technologies have changed our experience of cinema forever; we have peeled away from the crowded theater to be home alone with classic cinema. Recounting the technological developments that films have undergone, Warning Shadows travels through time and across genres to explore the impact of the industry's most famous classics and forgotten gems. Essays such as Houdini Escapes From the Vaults Of the Past , Edward G. Robinson, See, and Prestige and Pretension (Pride and Prejudice) capture the wit and magic of classic cinema. 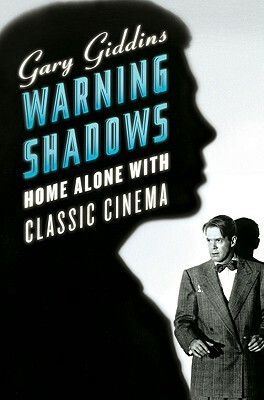 Each chapter ranging from the horror films of Hitchcock to the fantastical frames of Disney provides readers with engaging analyses of influential films and the directors and actors who made them possible.